Sir, In GA section questions are from 29 sept/30th sept oct 1st. we have exam on 5th. hardly they will ask questions from 20th sept. in mock test 4 also same thing I saw 27 sept,28th sept. In rrb po they asked from april may june. Sir plz aaj start kijiye..Mock test 4. I am only giving your ST. Last ST was uploaded on 29th Sept I think..Plz upload it today..
Hi kundan, 2 more tests we are providing. It will be published on 4th and 5th!! Sir machine input question showing different pattern and in explanation followed some thing else. 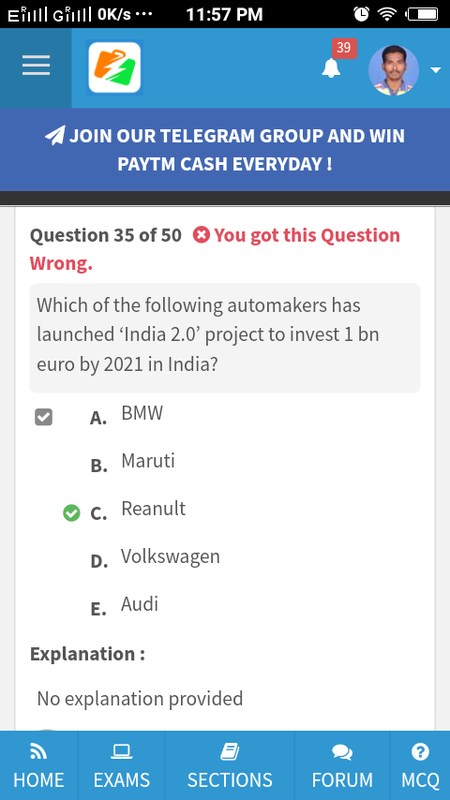 In GA also techno hub question is wrong. Please tell us the Test Number. Hi Kundan, Thanks for reporting the Errors. They have been rectified. 69 attempted in rrb assistant.. 68.75 got.. still not qualify for mains..
cut off for general in hp 77.25, sc 71.75... highest in all over india..
n sorry meko test no.ni yaad aap chk kr lena!!!! wre is BANKING & FINANCIAL AWARENESS BLOGS for the month JUNE & AUGUST if it is not available pls try to provide asap. Please check blog check blog section it has been uploaded!! mera to nahi hua...tumhara pucha mene?? alright...then lets work hard in silence once again. June month blog is missing will upload it tomorrow!! Agar bhul Gaye toh aap yaad diladena!! Actually Mera laptop khrb hogya hai isliye sab files miss hogyi hai !! Theek nahi hoga ab woh!! September ka koi bhi file miss nahi hoga!! 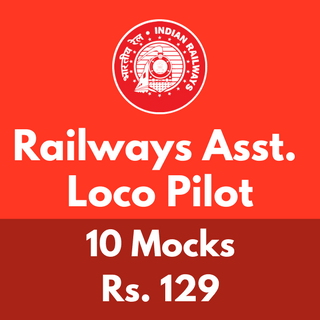 how to get Hindi section in RRb mains mock. i am getting only ENglish section. Explanation me divided by 200 q kia h😓😓😓?? Koi bolega...SBI clerk mains ki result aayi kya?? Kaal uska kya bigade Jo bhakht ho mahakaal Ka !! Jai Bholenath !! Ye SEBI grade-A sirf engineer bando k liye h?? @pooja...ibps po n clerk me english me marks score karne k lye kya karu?? Take August month mcqs test!! We will surely upload the analysis in some time.